We hold expertise in offering our clients a wide range of Bass Round Tailpiece. Our given tailpieces are designed with utmost precision using best in class material and advanced techniques in fulfillment with the set norms of industry. 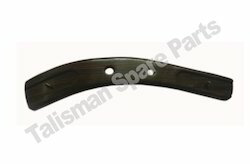 These tailpieces are offered in various sizes, as per the specific demands of our patrons. Our clients can availfrom usexclusive collection ofViolin Nuts & Saddle that is crafted using variety of quality wood sourced from established vendors. Aesthetically designed and finished, our range is admired for stunning looks, durability, light weight, and longer working life. Further, we also specialize in offering customized nuts and saddle as per the requirements of the clients. Violin/ Viola, Persian Eye, Ebony, DMPA/EB137. A tailpiece ia a very important part of many musical instruments like the Violin, Viola , Cello etc. The size and shape varies according to the instrument.This is used to anchor one end of the strings to one side of the instrument. Int eh violin it is the upper end which is the end opposite the end with the tuning mechanism -the scroll, the peghead etc. We deal in Harp Pegs of best quality and we offer them to our clients. Pegs, which meets the variegated requirements of our customers. These are mainly used for tuning the violin. For every string there is a Peg attached between the nut and the scroll. We have proficiency in crafting a wide range of Guitar Tail Piece which is widely appreciated by our clients. 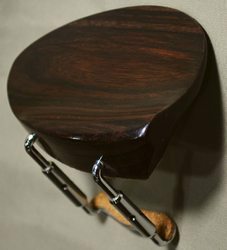 These are crafted using premium grade rosewood and are provided by us in various grades, colors, sizes and finishes as per the requirements of customers. Further, these can be availed from us at competitive price and the timely delivery is assured as well. A good quality Violin Tail Piece, Violin Hill Tail Piece, Violin Hill TailPiece, Hill Violin TailPiece. We are providing to our customers a wide range of Violin Part set. These parts are made from variety of materials such as ebony, boxwood and rose wood. Offered products are available in various sizes and designs that can be customized as per changing requirements of the clients. Available in various specifications, we are engaged in offering a wide range of Violin parts. Our offered range of Violin partsis widely used by the musicians for playing it in concert, functions and many other place. Moreover, this r can easily be avail from us at best price range.